Why is it that the most comforting, delicious foods are all so cheesy? Melty, ooey, gooey cheese adds considerable calories to your favorite dishes, but what if you could still enjoy your favourite cheesy foods without completely sabotaging your healthy eating plan? Here are healthier versions of some cheesy favourites to help you stay on track — without sacrificing your need for cheese. Nachos sound like the ultimate diet-buster. Fried tortilla chips smothered in melted cheese, piled high with steak and topped off with gobs of sour cream. What if you could make some adjustments and create a healthier version? some calories and fat. Swap out ground beef for ground turkey, or strips of steak for strips of chicken, and swap out sour cream for extra heart-healthy guacamole. 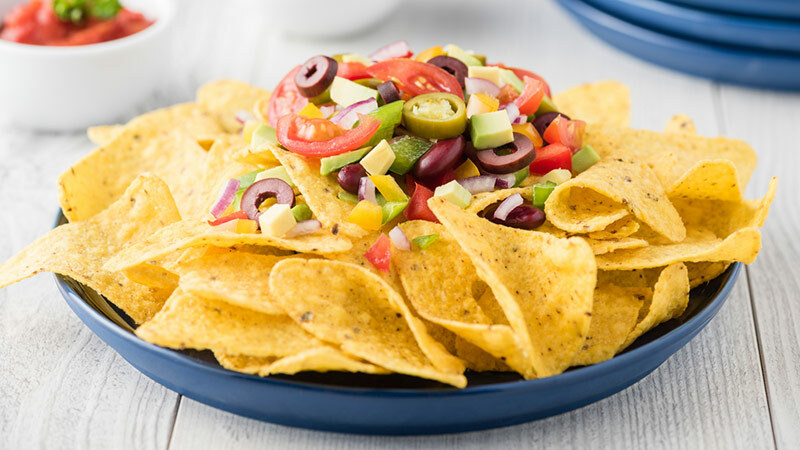 Good news: To make your nachos healthier, you don’t have to skip the cheese altogether. Replace a cup of cheddar cheese (455 calories) with 1 ounce of cotija cheese (100 calories) sprinkled on top. You’ll get a more authentic, south-of-the-border flavor, and will be able to enjoy this dish without ruining your diet. Another southwest favorite, restaurant burritos are typically high-calorie and loaded with fat. However, when made at home, burritos are a surprisingly healthy, comforting dish that can be enjoyed at breakfast, lunch, or dinner. Whole-wheat tortillas make a health-conscious wrap for vegetables and beans. 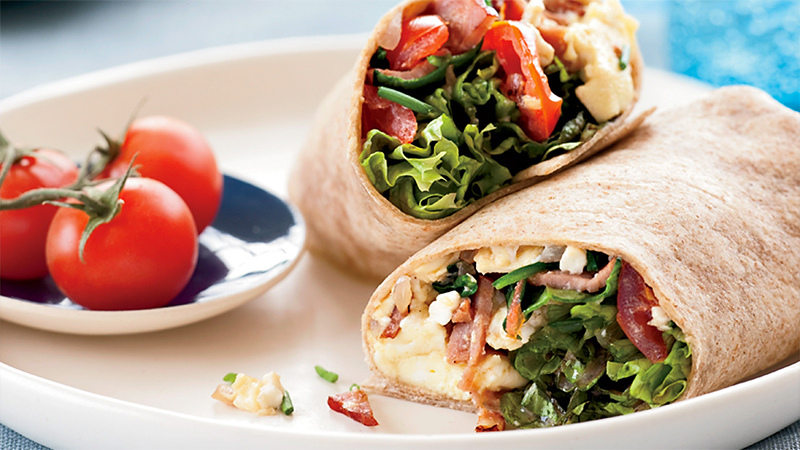 Black beans, cilantro, salsa and yogurt can make a satisfying breakfast burrito, even without cheese and sour cream. Instead of refried beans in your burrito, try making a black-bean spread. Rinse and drain 1 can of black beans, and then combine in a food processor with 1 teaspoon of cumin, ½ teaspoon of garlic powder and ½ teaspoon sea salt. a creamy avocado-sour cream. One serving is 368 calories, compared to a cheesy chicken burrito with over 1,000 calories from a restaurant. Pizza without cheese just sounds wrong, but you can completely revamp the “pie” to be a healthier, and just as tasty, version of the original. Start with a basic pizza crust. Spread on pesto sauce, hummus, or olive oil. 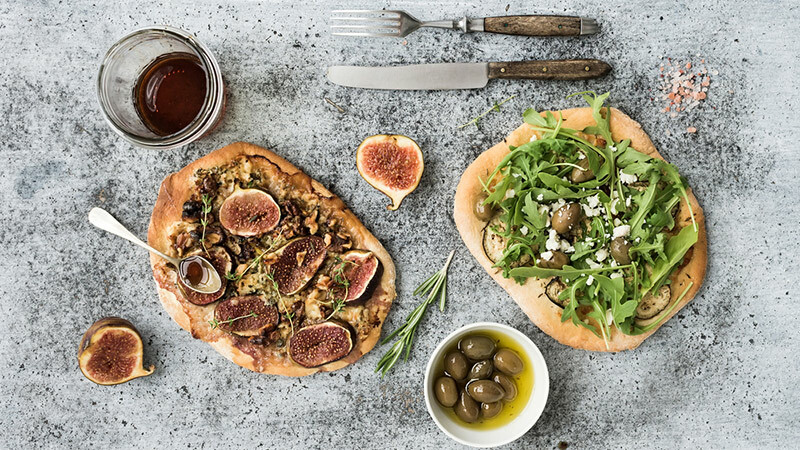 Top with vegetables and herbs, like caramelized onions, butternut squash and arugula; spinach, tomato, kalamata olives and oregano; mushrooms, zucchini and rosemary; or fresh tomatoes and basil. Instead of covering the entire pizza with 1 cup of shredded mozzarella cheese (336 calories), garnish it with 1 ounce of crumbled goat cheese (103 calories). The goat cheese has a stronger, more tart flavour, so a tiny bit will satisfy your cheese craving. What’s a backyard barbeque with out a burger? You don’t have to shy away from this American classic, just replace the typical cheeseburger for a more healthful option, instead. 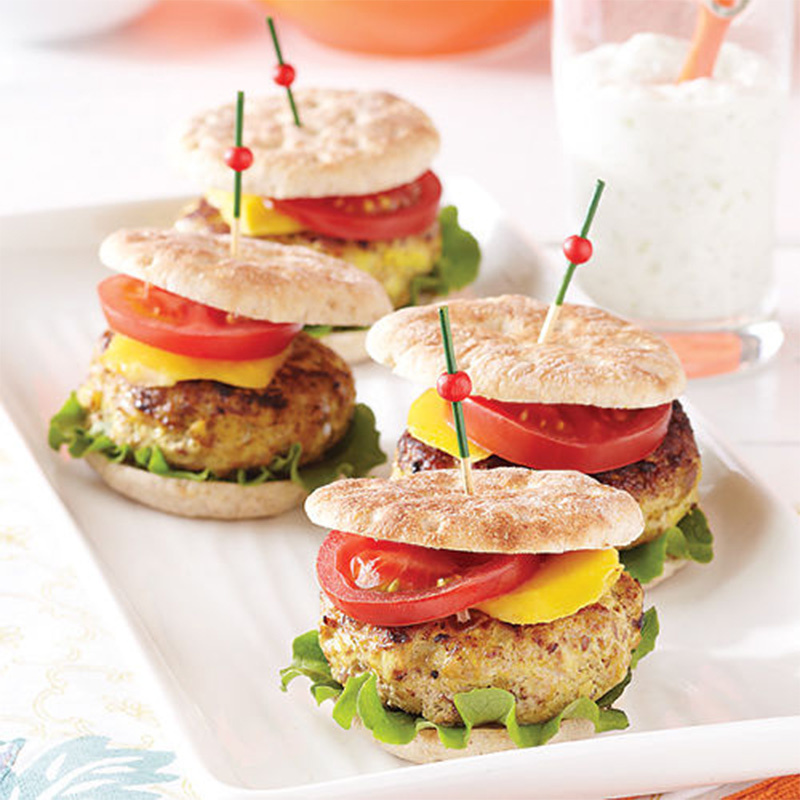 A Tofu Chickpea Burger can help you eat a more plant-based diet, and this one is so flavourful you may convince even the biggest meat lover to try something new. you can enjoy three and still total around 380 calories. Last on the list is the King of Cheesy Meals; the Lasagna. Layers of pasta, cheese and sauce make a traditional lasagna a one-way ticket to a ruined diet. But you can have your cheese and eat it too, if you make some careful edits to turn lasagna into a healthier dish. Instead of sheets of refined white pasta, use whole grain wheat or spelt lasagna pasta sheets. Spelt is an ancient grain that’s part of the wheat family; it has a nutty taste and is full of beneficial fibre, vitamins and minerals. 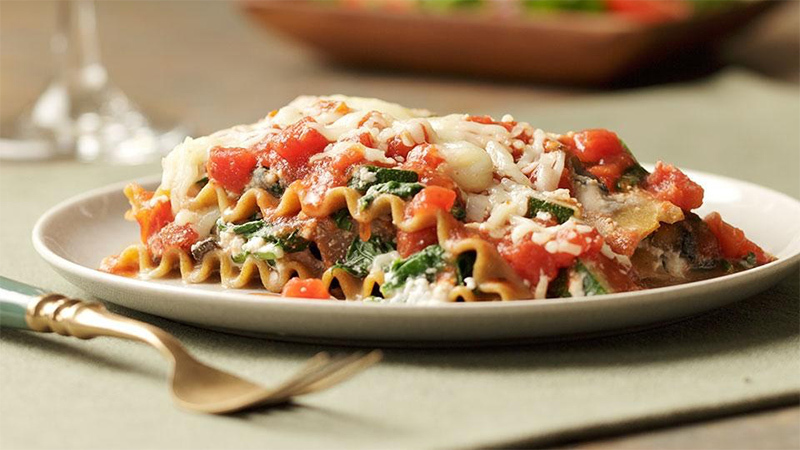 Layer your pasta sheets with fresh tomato sauce, spinach, mushrooms, eggplant, squash and arugula. Add thin layers of low-fat ricotta cheese. Repeat until you have a baking dish full of pasta, sauce, and vegetables. Sprinkle 1 cup of mozzarella cheese on top to get the melty, bubbly appearance and cheesy flavor that you crave from lasagna. By only adding mozzarella cheese to the very top, and not in between every layer, you’re cutting a huge chunk of calories from your dish.